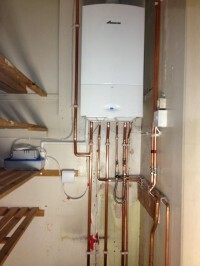 Absolute Bristol Ltd are Gas Safe registered heating engineers who supply and install gas boilers. 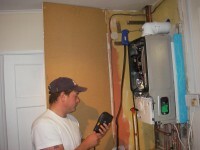 For similar replacement boiler companies in this area please visit the Bristol boiler page. Bristol based Company, also covering the surrounding areas, Gas Safe Registered and fully insured with Corgi. Range of works cover Boiler replacement, installation, serving and repairs, heating system installation, power flushes, fire installation / repairs, bathroom fitting, leaking taps / pipes. 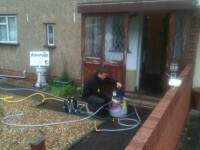 Also able to offer associated works, such as Landlord safety checks. Worcester accreddited installer able to offer 7 year parts and labour warrantee on most worcester boilers. Also Vaillant accredited, and able to offer 5 year warranty on selected Vaillant boilers. Kris contacted me very quickly after I had posted my request. I was impressed with his initial visit to provide me with a quote - he was careful to ensure that I understood things, ready to answer questions and provide different options. On the day of the installation, they arrived at the time stated and stayed until the work was fully completed despite the fact that it took slightly longer than expected. Due to the fact that my previous boiler was badly fitted, some extra work was required and this was done at no extra cost. On completion they cleared up and my old boiler wes disposed of. I would thoroughly recommend Absolute and wouldn't hesitate to use them again. Very pleased with the service I received from start to finish,can't fault them,job well done, would recommend them to anyone.